If you have been exposed to asbestos, you might be wondering if the amount of exposure is enough to cause health problems. According to the Environmental Protection Agency (EPA), there is no known safe level of asbestos exposure, so even small amounts can cause disease. It is important to your survival to separate the facts from the myths and see your doctor regularly, so the National Cancer Institute offers answers to some of the most common questions asked by those who have been exposed (or think they have been exposed) to asbestos. Let’s explore. What diseases are caused by asbestos exposure? 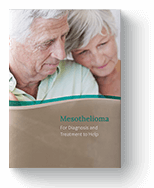 Asbestos exposure is the only known cause of mesothelioma. Exposure can also cause asbestosis (an inflammatory condition affecting the lungs), pleural plaques (changes in the membranes surrounding the lung), pleural thickening, and benign pleural effusions (abnormal collections of fluid between the thin layers of tissue lining the lungs and the wall of the chest cavity). Am I at risk of developing an asbestos-related disease? Health hazards from asbestos exposure have been recognized in workers in shipbuilding, asbestos mining and milling, manufacturing of asbestos textiles and other asbestos products, insulation work in the construction and building trades, and a variety of other trades. Demolition workers, drywall removers, asbestos removal workers, firefighters, automobile workers, and mechanics also may be exposed to asbestos fibers. Could smoking affect my risk of developing asbestos-related disease? The combination of smoking and asbestos exposure is “particularly” hazardous. Smokers who are also exposed to asbestos have a risk of developing lung cancer that is greater than the individual risks from asbestos and smoking added together. There is evidence that quitting smoking will reduce the risk of lung cancer among asbestos-exposed workers. How are asbestos-related diseases detected? A number of tests are currently in development that researchers say could help detect mesothelioma earlier than existing diagnostic tools. Current diagnostic tools include physical examination, chest x-ray, lung function tests, lung biopsy, and bronchoscopy. The Occupational Safety and Health Administration (OSHA) is responsible for health and safety regulations in maritime, construction, manufacturing, and service workplaces. The agency has established regulations dealing with asbestos exposure on the job, specifically in construction work, shipyards, and general industry that employers are required to follow.